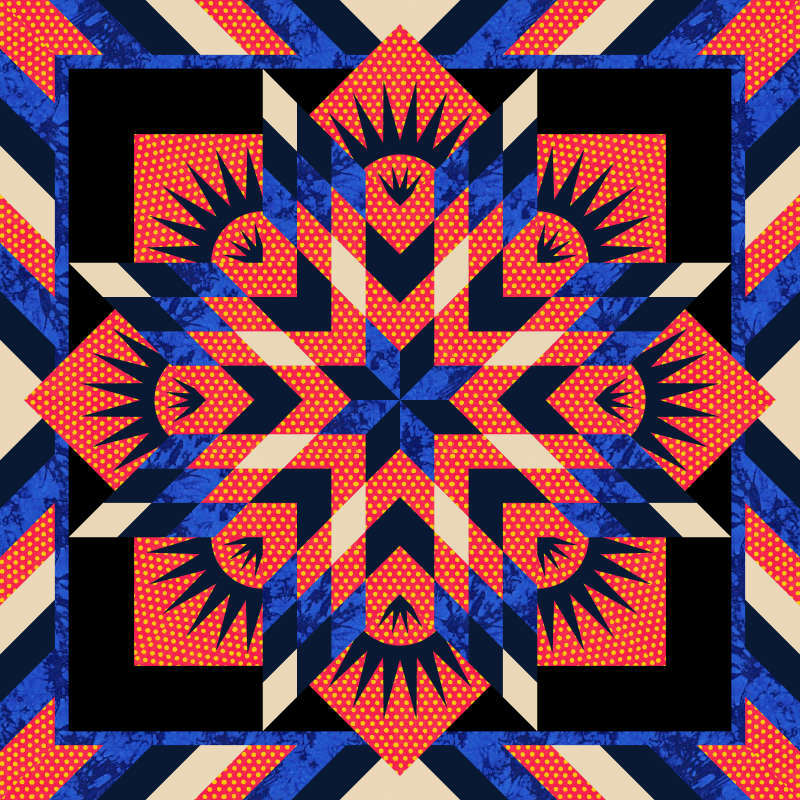 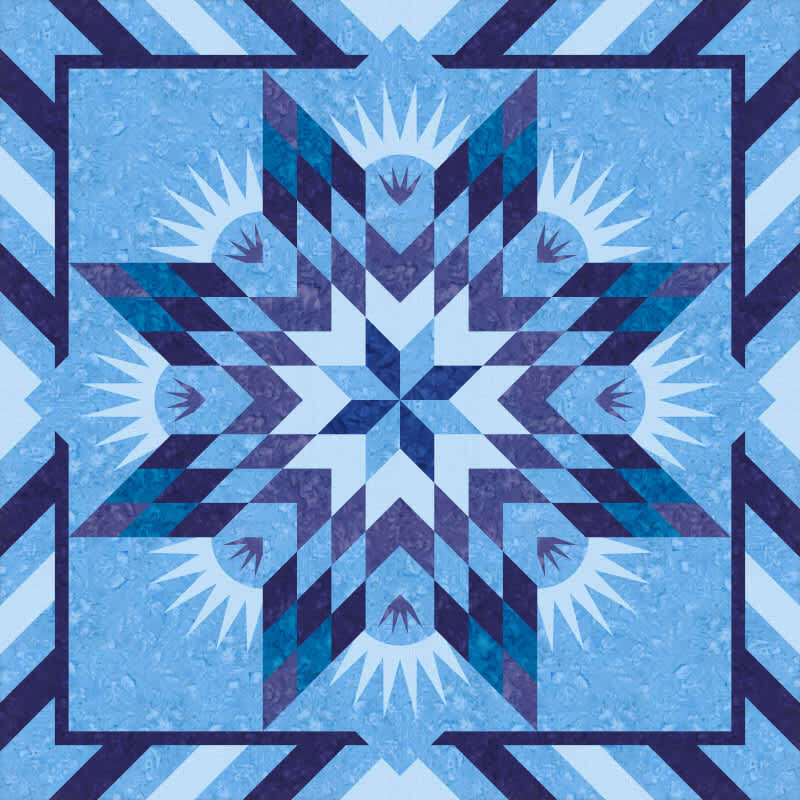 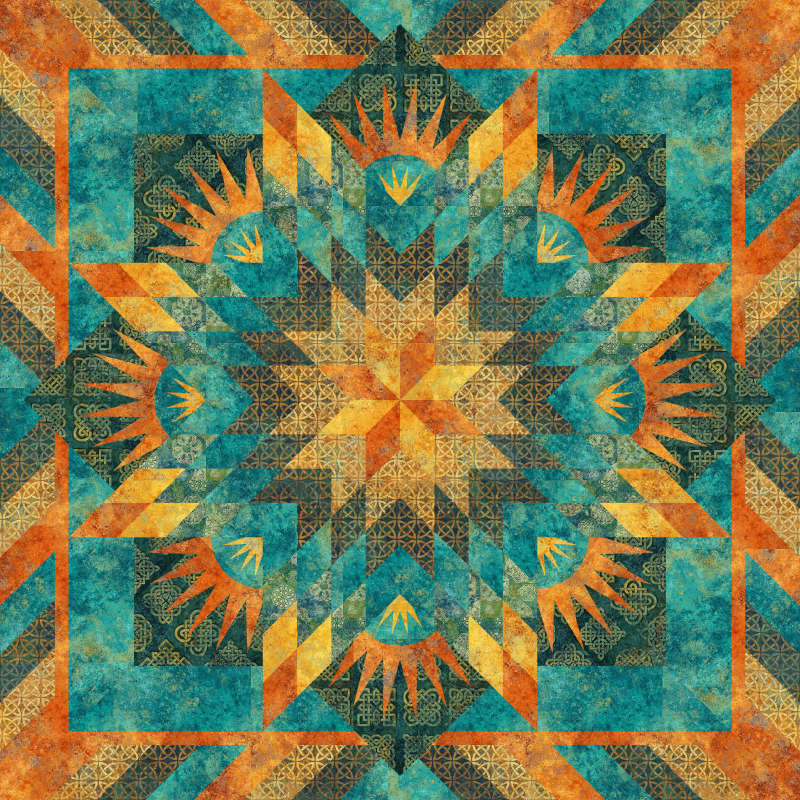 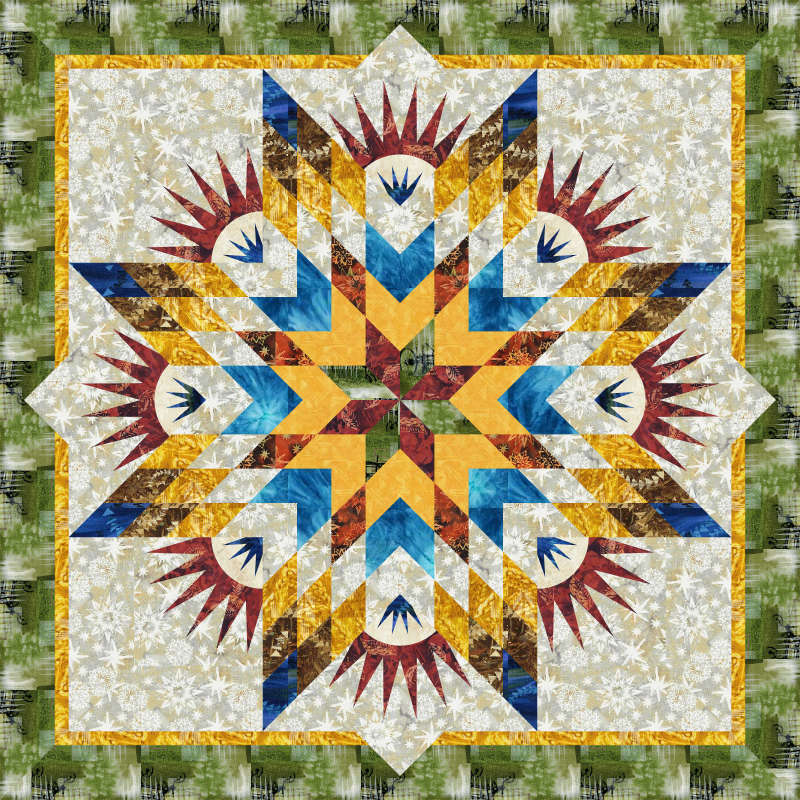 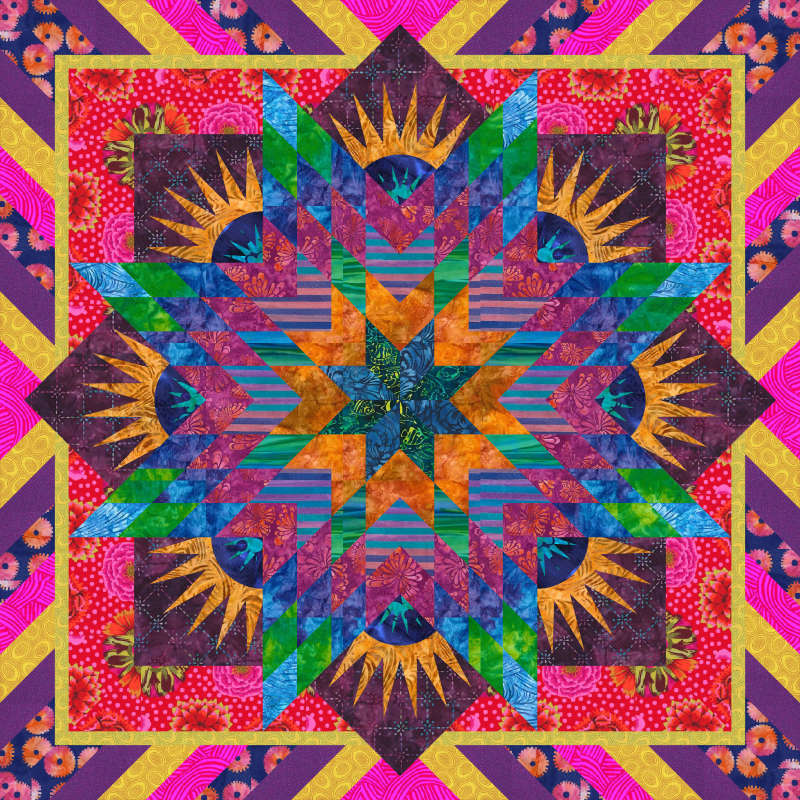 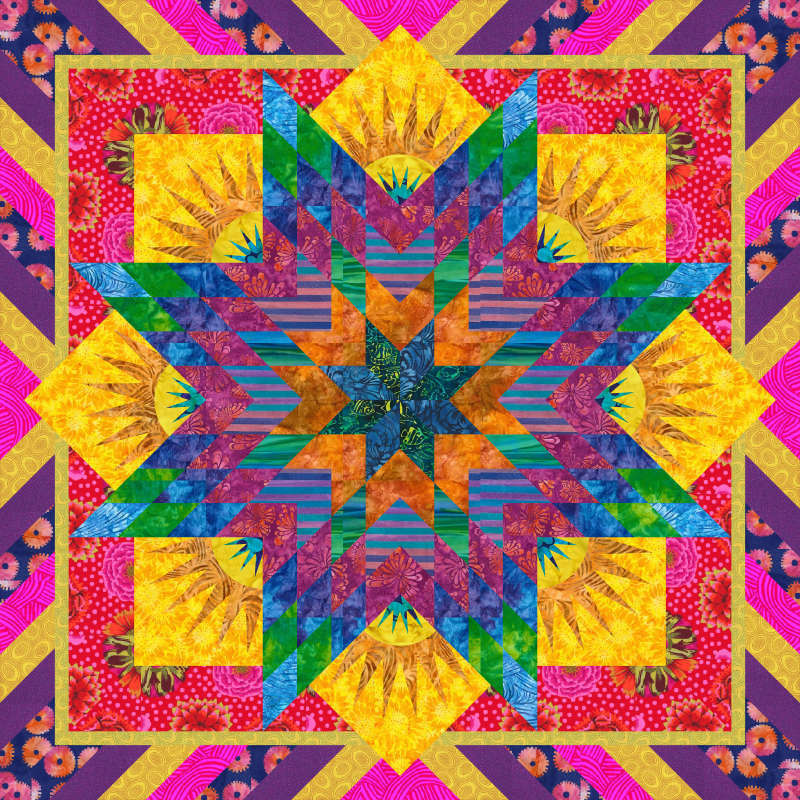 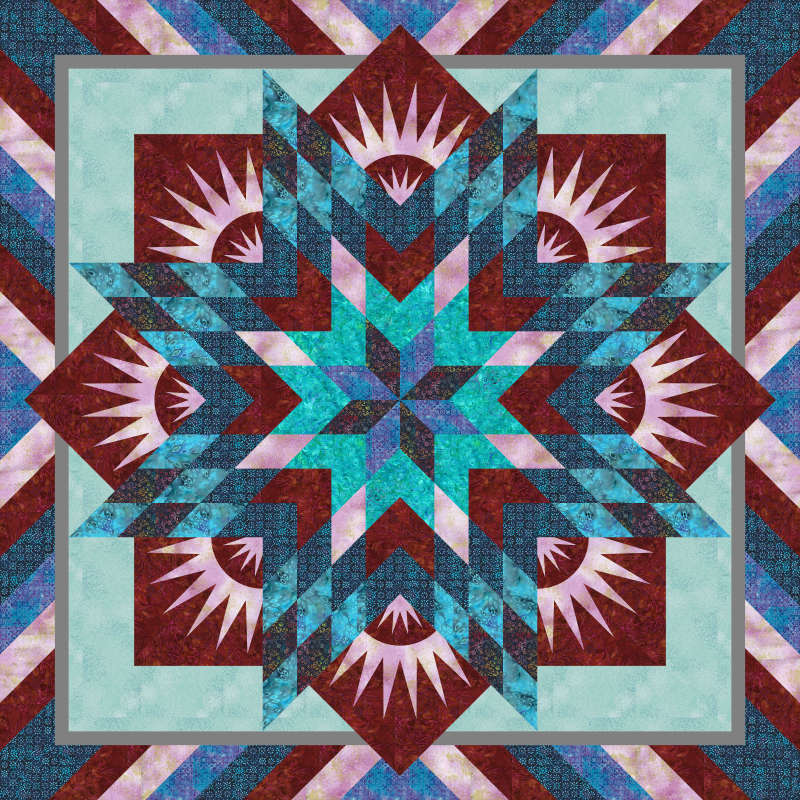 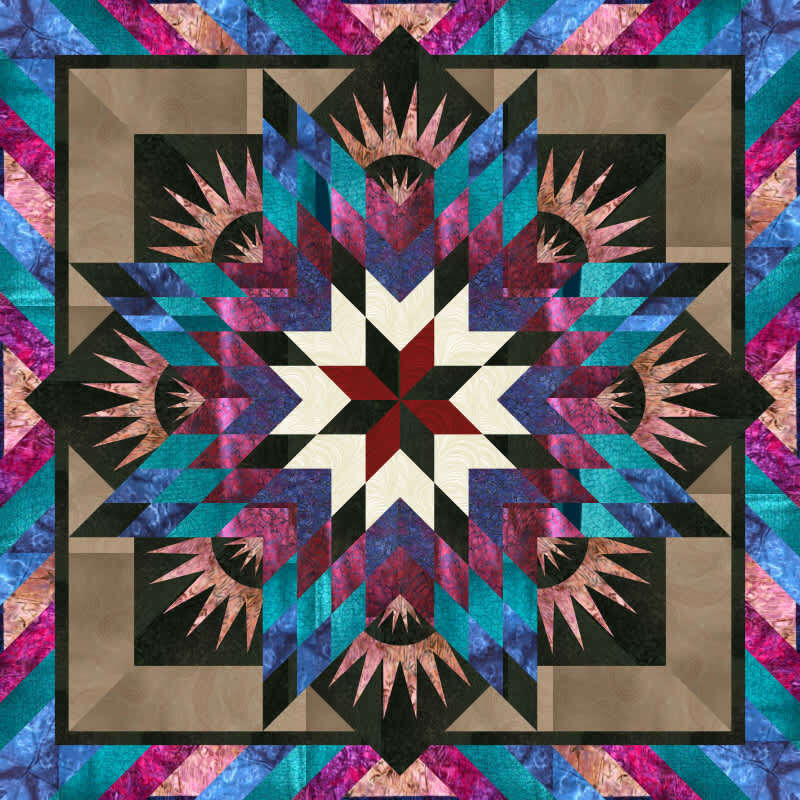 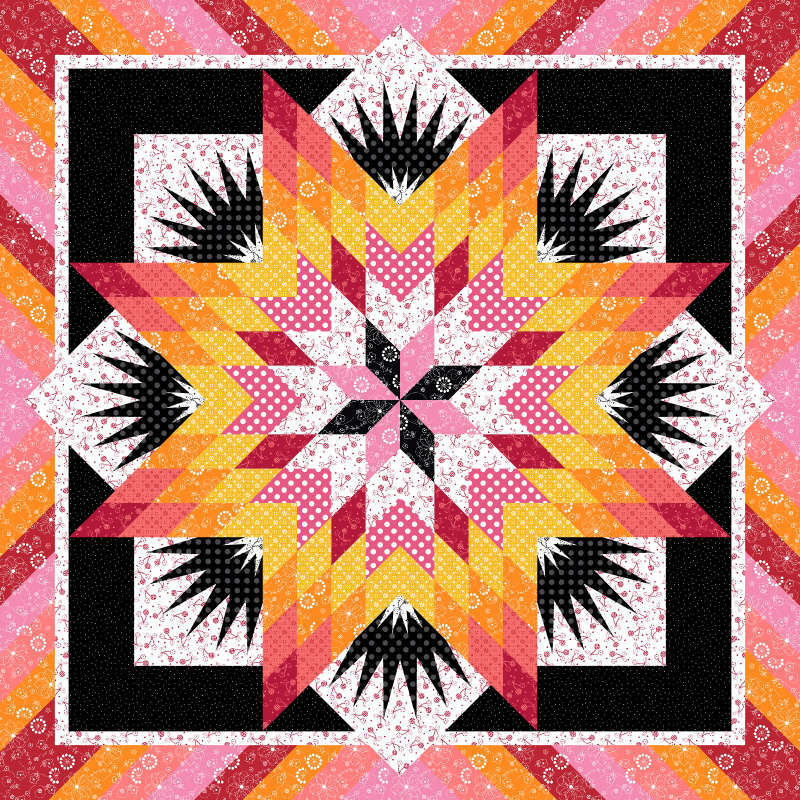 PRE-2018 ONLY - This design is the original Summer Solstice Wall Quilt. 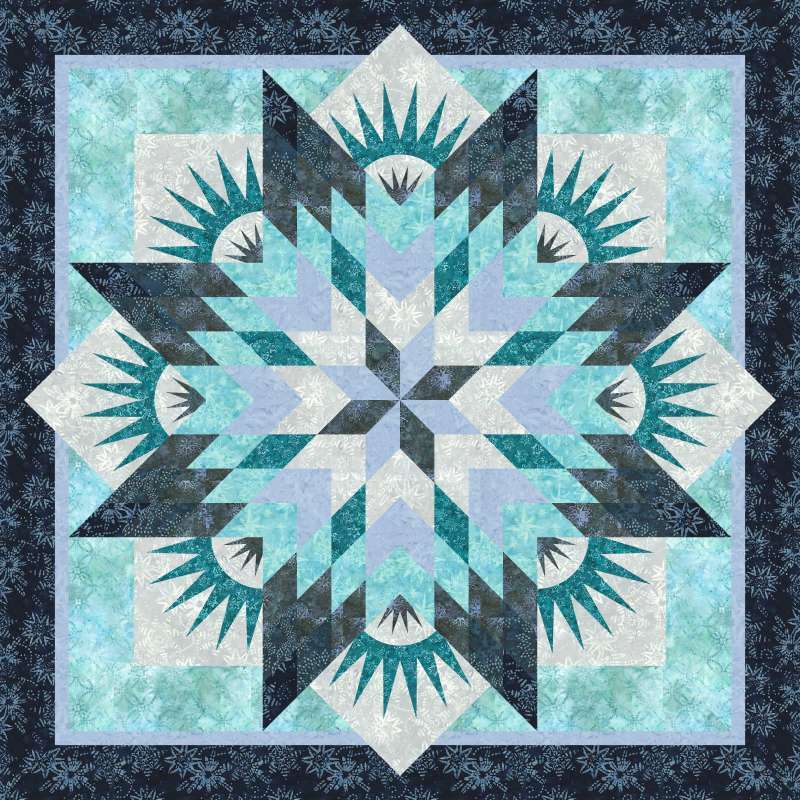 This pattern should only be used to color pattern created previous to the June 2018 publication. 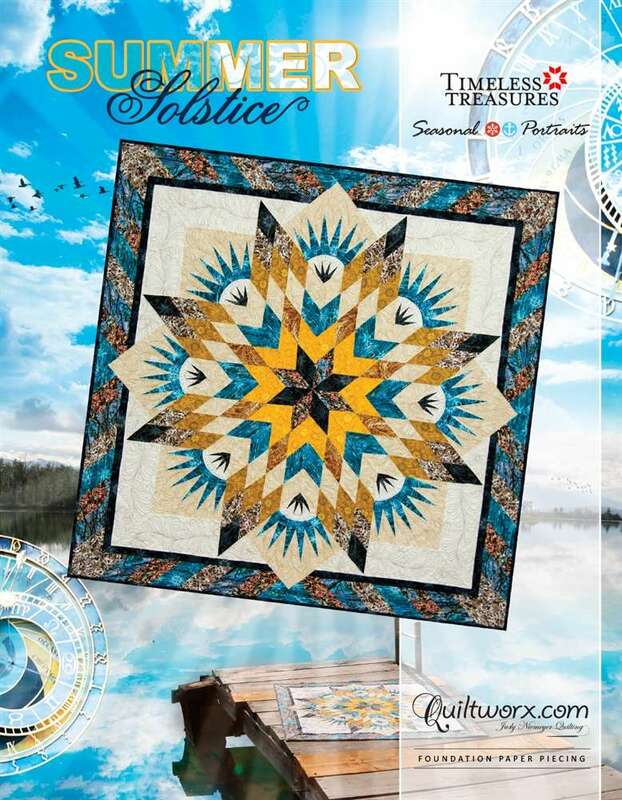 If you have the June 2018 Publication or later (says Update on Copyright on back and includes a cover quilt from the Tonga Jewels Amethyst Collection), please use the Solstice Wall Mixer Pattern instead.